With experience in satellite procurement, user equipment development and working with Congress, Col. Steven Whitney may be just the chief the GPS Directorate needs. 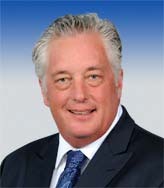 The GPS program was already facing challenges when Whitney became director of the GPS Directorate in early July. The GPS III program had slipped from its original schedule and the Air Force was in the midst of an unusual search for possible new contractors. Then in September a highly critical report from the Government Accountability Office put the long-delayed ground control system and the user equipment program under fresh scrutiny. 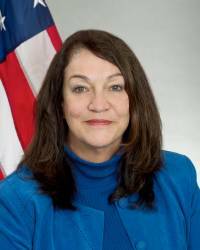 Whitney however, brings to the job a wide range of space-related and make-it-work program experience that should help the Directorate manage these challenges. An electrical engineer with three masters degrees — one each in systems engineering, national security strategy and administrative sciences — he has been part of a host of essential military space programs over his career. Whitney worked on the Defense Support Program spacecraft where he was crew commander and chief for engineering and then served as chief of the Commanders Action Group for DSP’s replacement, the Space-Based Infrared System (SBIRS). While on the SBIRS program he had responsibility for the Flight Demonstration System as operations manager. 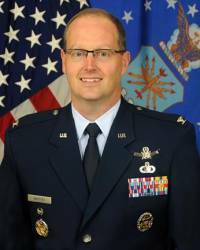 He then spent four years at the Air Force Communications Support Facility at the White Sands Missile Range where he was the senior flight commander, chief of the Production Division and director of engineering. He also served at the National Reconnaissance Office as commander of the Enterprise Operations Squadron and at the space lead and chief of the Space/C4 Branch with the Joint Chiefs of Staff. Not that it was all technology and engineering. For the three years he was assigned to MILSATCOM, Whitney as the program element monitor and chief on the congressional and media affairs team in the Space Acquisition Directorate — a job that gave him great insight into the budgeting and congressional process. As for the GPS space segment, the GPS III program, he noted that the first of the GPS III space vehicles is fully assembled and ready for thermal vacuum testing, which verifies performance in the extremes of a simulated space environment. In terms of next steps Whitney said he was now in the process of getting price options for GPS III space vehicles 11 and 12. The Directorate is also poised to release the RFP for the first of a possible two-phase process to recompete the GPS III contract. Whatever the challenges Whitney expressed his confidence in his team, a group of people he described as energizing to work with.